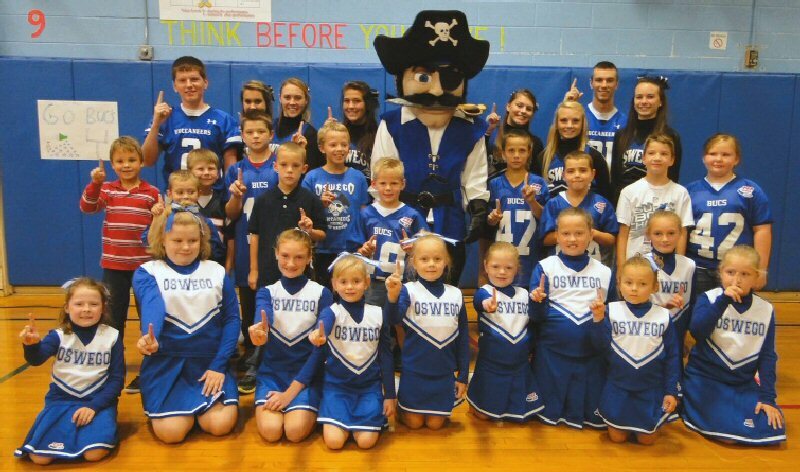 Minetto Pop Warner football players and cheerleaders are joined by Oswego High School varsity cheerleaders and football players along with others to celebrate the Buccaneer mascot debut. MINETTO, NY – The new Buccaneer mascot made its Oswego debut at the Minetto Elementary School Pep Rally on Thursday. 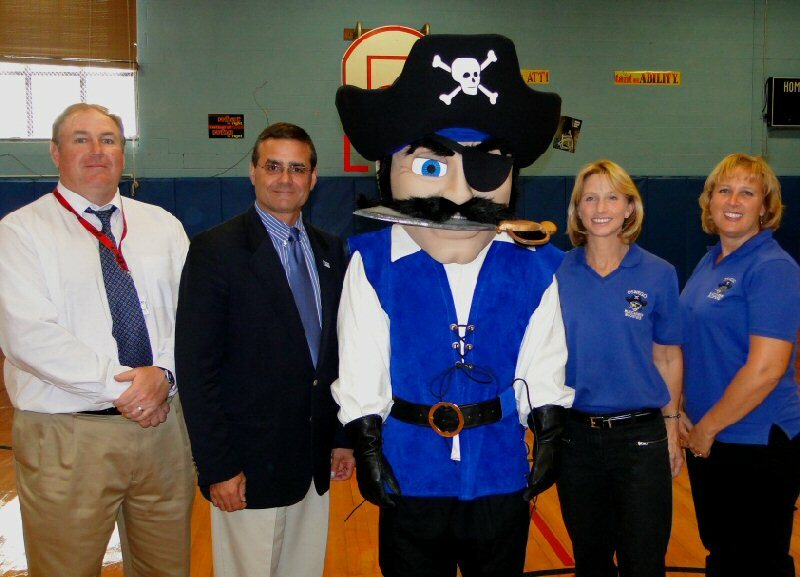 Joining together for the debut of the Buccaneer mascot are Athletic Director Mike Conners, Superintendent of Schools Bill Crist and two of the coordinators Judy Queale-Dunsmoor and Lu Collins.